A recent footage has given emphasis to the claim that NASA cut off its live feed recently to hide an Unidentified Flying Object (UFO) flying through space. The video, released by Streetcap1, shows a mysterious orb sailing above the planet. One can see a strange blue light hovering over the atmosphere in the new circulated video, which is being forwarded by conspiracy theorists as another evidence of extraterrestrial life, something that NASA is keen on hiding due to their frequent live feed cuts. Incidentally, this is not the first time an alleged UFO has been spotted making its way into the frame during a live feed from the International Space Station (ISS), as per conspiracy theorists and UFO watchers. In April this year, NASA had allegedly covered up a possible alien sighting by cutting live feed from the ISS, after a horseshoe shaped UFO was seen making its way into the screen. As per conspiracy theorists, it was a deliberate move by the space agency to cut off the feed after, yet another, mysterious glowing object was seen getting too near the space station. Later on, a spokesman from NASA had stated that the mysterious object was actually not an UFO but light from the ISS itself, reflected on its window. In another episode from June this year, footage captured from space station’s live feed apparently showed yet another UFO, with a fireball appearance, shooting through space. The clip was reportedly captured from the live stream captured by ISS’s base camera, and conspiracy theorists released the video on YouTube. As per a report, NASA announced in July that they had plans of phasing out the ISS live stream on their website, news which was not taken well by alien hunters, ufologists and conspiracy theorists, who took it as further proof of NASA trying to hide evidence of alien life. At the moment, no statement has been released by NASA for the recent episode. Usually the space agency doesn’t comment on or clear up any such accusations. For now, it seems, the truth is out there. 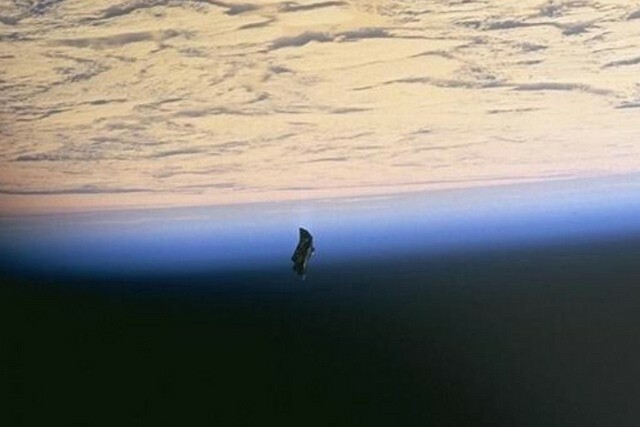 UFO from ISS. September 30th. 2016.